Using Bluetooth in a car is pretty damn snazzy—whether it's just a headset or integrated with the entertainment center, it's just a nice convenience. The one problem that still remains with these types of systems is dialing. In most cases, you still have to grab your phone and find your way through a phonebook, therefore taking your eyes off the road. 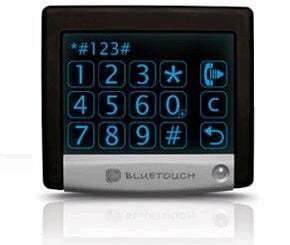 Bluetouch is looking to solve that problem.